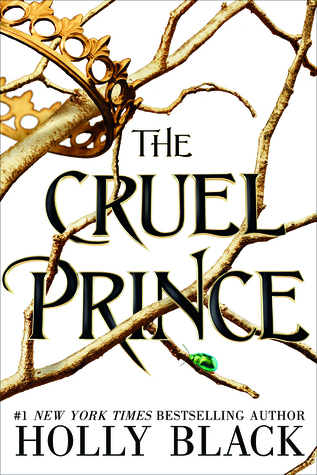 The Cruel Prince is Holly Black’s latest foray into fairyland and the first book in The Folk of the Air series. The novel follows Jude, a young woman seeking to earn her place in Faerie, where she has been raised after her parents’ death, by becoming a knight in the Court. While her half-sister Vivi wants nothing more than to return to the human world, Jude’s twin sister Taryn too hopes to find her home, seeking to marry into the Court instead. However, the cruel and complicated members of the High Court of Faerie can’t wait to see Jude fail and continually work to thwart her plans, especially Cardan, the young prince who tortures Jude at every turn. Jude’s desperation to belong and to overcome her human body leads her down a series of increasingly dangerous alliances that call into question her relationships with those she holds most dear. This book is a roller coaster! Holly Black has created a lush and dangerous world filled with the creatures of fairyland. The political intrigue paired with the struggles of a young woman seeking her place creates a dramatic and otherworldly yet still relatable story. The lushness and brutality of the world is surprising, and Black is not afraid to dig into its dark underbelly to give depth to a familiar coming-of-age tale. I enjoyed this book about 70% of the time I was reading it. I have to admit that I am a sucker for a good faerie story! I love the diversity of different types of fairies and creatures that can be detailed and the word play and trickery that must go into the dialogue. And yet, I felt like some of these things were missing or not used to their full potential. So many interesting courts were mentioned, but none of them really got any development (hopefully in the sequels!). I liked Jude and her sisters from the beginning, and loved Black’s treatment of the tension that arises among family. The family dynamics of The Cruel Prince add another interesting layer to familiar family pressures—the ways that we can come to love those who have hurt us, even in the most brutal ways. Black seems to explore the ways that biology and self-determination interact with each other, particularly with Madoc, Jude and Taryn’s adopted father and Vivi’s biological father, and with Cardan’s complicated relationship with his family. People are complicated. Their actions have complex reasons behind them that can’t be reduced to a simple, single explanation and Black does an excellent job of exploring the intricate chains that can cause a person’s cruelty without reducing or excusing the actions themselves. All that being said, I have a serious issue with the text in the character development area. Multiple characters have major changes in their attitudes and demeanors in ways that don’t seem well planted throughout the book and as a result were rather jarring. To be completely honest, they just didn’t make sense to me. I enjoyed the book and the characters after this point, but the switch seemed abrupt and the explanations weak. This was particularly disappointing in contrast to all that I enjoyed above about the characters. 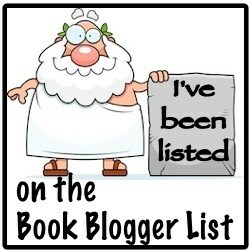 I will definitely still be reading the next book though (as I almost always say at the end of my reviews ha!) and am looking forward to see what Black has in store for Jude in the next installment! ‹ PreviousTop Ten Tuesday: Books I could reread forever!